The “Informal Anti-civilization Group,” which on June 29, 2011, took responsibility for the explosion that severely damaged a Santander bank in the city of Tultitlan, Mexico. “Uncivilized Autonomous,” who on October 16, 2011 set off a bomb inside the ATMs of a Banamex, located between the cities of Tultitlan and Coacalco in Mexico State. “Informal Circle of Antagonistic Individualists,” who in September 2009 set several wild horses free from a farm in Aguascalientes. “Wild Indomitables,” who on October 16, 2011 left a butane gas bomb that did not detonate in a Santander bank in the Álvaro Obregón district of Mexico City. The act was never claimed until now. “Terrorist Cells for the Direct Attack – Anti-civilization Fraction,” which in 2010 and 2011 left a fake bomb in front of the IFaB (Pharmacological and Biopharmeceutical Research), and detonated an explosive outside the building of the National Ecology Institute (INE), both in the Tlalpan district of Mexico City. “Luddites against the Domestication of Wild Nature,” who during 2009 to 2011 had taken part in various incendiary attacks in some cities in Mexico State and various districts of Mexico City, claimed or unclaimed. “NS – Fera – Kamala y Amala” which on December 9, 2011, left an explosive package addressed to the director of the National Institute of Psychiatry “Ramón de la Fuente” in the Tlalpan district, Mexico City. It was deactivated by the police bomb squad. On the 15th of this month, the same group warned through email of the presence of a car bomb in the institution’s parking lot, which, although it was a false warning, created terror among the officials of that center of mental alienation. 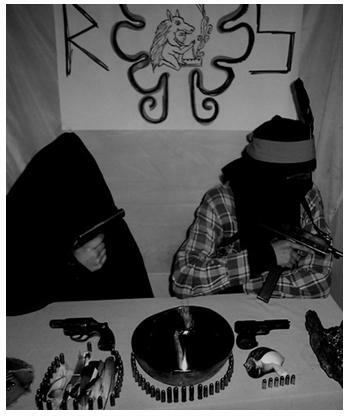 “Earth Liberation Front – Bajío”, which on November 16, 2011 set off an explosive charge creating damages within the ATM area of a branch of the Federal Electricity Commission (CFE) in the city of Irapuato in Guanajuato. The “Obsidian Point Circle of Attack,” which at the end of March of this year sent a letter-bomb via express mail to the Rector of UNAM in Mexico City. 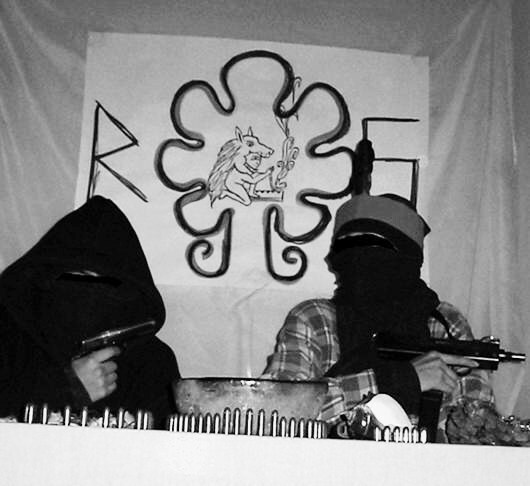 The “Atlatl Group,” which in April of this year claimed responsibility for bomb threats and intimidating messages to academic institutions in Michoacán, Mexico State, Mexico City, Puebla and Zacatecas. All of these have now fused with the ITS groups in Morelos, Mexico City, Guanajuato, Hidalgo, Coahuila and Veracruz. Due to this union, the extravagant and little-practical pseudonym of “Individualists Tending toward the Wild” (ITS) ceases to exist, and from now on the attacks against technology and civilization will be signed with the new name of “Wild Reaction” (RS). RS will take the initiative of attacking human targets as it was with ITS, but we will also charge against public and private property. The research centers will be burned along with their scientists, the businesses that promote artificiality along with their employees and executives will suffer attacks; in sum, everything that involves civilization, technology and progress will be fiercely attacked. The groups that form RS will have their own names, this is just for inter-group decision. These groups will enjoy autonomy, will be able to carry out acts of sabotage as well as terrorist ones, (if they want to), when they want, breaking with the “formalities of attack” and predestined group dates. That is, in any moment and any place, the latent threat of aggression will be present. We deny being followers of Ted Kaczynski ; we have indeed learned many things from reading Industrial Society and Its Future, the texts after this and the letters before this text signed by “Freedom Club” (FC), but that does not mean that we are his followers. In fact our position clashes with Kaczynski’s, FC’s, his disciple Último Reducto and others, since we do not consider ourselves revolutionaries, we do not want to form an “anti-technological movement” that encourages the “total overthrow of the system,” we do not see it as viable, we do no want victory, we do not pretend to win or lose, this is an individual fight against the mega-machine; we don’t care about getting something positive from this, since we are simply guided by our instincts of defense and survival. We are for the rejection of artificiality and of modern reality. We deny the values of the system such as “equality,” “promiscuous solidarity,” “peace,” “progress,” “plurality,” “humanism,” etc. We defend our identity as “modern” humans clinging to our primitive past. We cast our labels like “anti-civilization,” “primitivist,” “anarchist,” “anti-technology,” “luddite,” because RS is a unique tendency that does not need these tired and twisted labels for defining ourselves. Thus neither Kaczynski, Último Reducto, Zerzan, Derrick Jensen, or any other with the (supposed) “primitivist” stamp represents RS. Nor do the Informal Anarchist Federation (FAI), the Conspiracy of Cells of Fire (CCF), Feral Faun, or any other with the “eco-anarchist” or “anti-civilization cell of…” stamp. RS and its groups only represent themselves. Previously some (but not all) of the groups that have united as RS were exclusively formed by “eco-anarchists” and “radical ecologists,” now RS is formed by nihilist saboteurs, incendiary nomads, individualist delinquents, terrorist anarchists, politically and morally incorrect critics, that is, RS is a group of affinities who are ready for everything that is necessary, for achieving what we want… and what we want is the destabilization of the system, the direct punishment of those immediately responsible for the subjugation of wild nature (including human nature). We are a considerable group of wild ones who are conscious that our ancestors were warriors and we vindicate ourselves in the same way. We are the minority of the minority, we have decided to undertake a war against everything that is taking away our essence as natural humans, and is fixing us to turn us into humiliated humanoids. This essence that we cling to has been transmitted to us by our wild ancestors, it pushes us to follow the path of confrontation and resistance, against alienation, against what wants to domesticate us and keep us alienated from our true home: the forests, the deserts, the hills, the mountains, the jungles, the coasts. This is why during these years we have intensified the conflict against artificiality, this is why we have burned machines, set off explosives, created terror, torn living flesh, punctured heads, just as the ancients did in the wars against civilization, in defense of their way of life; that way of life still exists though it may be very minimal, and we will defend it to the end. For those who think that the war against civilized ended with the extermination of the ethnic groups, hunter-gatherer nomads, original people of these lands in the war of the wild ones (chichimeca), after more than 400 years, allow us to tell you that you thought wrong. We are the warrior legacy! For those who may think that the individuals from the photograph are “our leaders,” let us say this is a lie. RS does NOT have leaders or a fixed and absolute leader, we are NOT an army or Marxist guerrilla group, RS is composed of groups of individuals responsible for our own actions, who act according to their possibilities. The photograph was a proposal from one of the groups, to show its individual capacity to inflict damage by means of firearms, and to visually express the extreme defense of wild nature. While the image is full of symbolism and meanings, we only explain one: The feather in the hat of one of them represents that they have taken a life, this subject is sitting under the letter “s,” the first letter of the name Salinas, of Ernesto Méndez Salinas, the biotechnologist assassinated in Cuernavaca in 2011, the first mortal victim of ITS. Enemies, observe well! This is not a game, it is not a joke, it is real! We have the weapons, the explosives and the warrior legacy in our blood, we are coming for you! To avoid our tendency falling into confusion or mutation, falsification or alteration, for the phrases published in our communiques we have decided to put at the end of each one only the first letter of the author’s name. With these, if you recognize their works, know that we include them because we agree only with this phrase, but not with all of their thought or opinion. On April 19, 2011, the maintenance worker of the Polytechnic University of Mexico Valley (UPVM), Alberto Álvarez, opened a package-bomb that was addressed to the head of the Nanotechnology degree, Camacho Olguín; for his carelessness he ended up with hearing trauma, burns on his hands, and an amputated eye. Later, in February 21, 2013, the employee in charge of maintaining the mailboxes of the Mexican Postal Service, José Luis García, decided to steal a package that caught his attention, which he did not know was a package containing an explosive with a concrete addressee (who we will not speak of), again, on opening the package, for his carelessness and deliberate behavior, the employee ended up with hearing trauma, first- and second-degree burns on his legs, arms, face and the fracture of one of his hands. Even though as ITS we have been denying it for more than three years, only recently we continue to be categorized as his “followers,” one can read evidence of this in the articles “NanoBombers: A Look at the Terrorist Group that’s trying to kill scientists”, from April 9, 2014, published on the New York web site “Vocativ”, and “As technology swamps our lives, the next Unabombers are waiting for their moment”, from May 13, 2014, published in the English periodical “The Telegraph”.